Okay, I am probably like the last person on earth to read this book. (Maybe I am exaggerating a bit, only a tiny, tiny bit though.) But this book was, like, the book, ( if you didn't know this yet you and I should be buddies! I had no idea either for a long time!) a year or so ago according to a lot of blogs and people! I hadn't really given it much thought until a month ago when I started seeing the raving reviews. Well... I read it and... Wow... seriously Jennifer L Armentrout, you are absolutely amazing! I have read Halfblood by JLA, and really liked it, but Obsidian soared sooooo high! 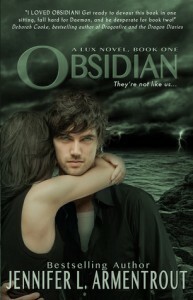 (Although I just finished reading Pure by Jennifer L Armentrout and now Obsidian has a worthy rival! My review for Pure is forthcoming...) Anyway, this book was out-of-this-world! 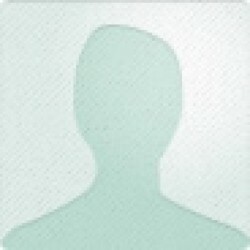 I especially reccomend it to book bloggers because we can all relate to the main character, who is also a book blogger! JLA does know her audience! The first step to creating a good book is to create characters that provoke emotions. Er, I think the author scored like a 10000 out of 10 on that one! I know that isn't supposed to be possible since it is out of 10, but the characters were so awesome! From bookish Katy, Sweet Dee, dislikable Ash, to Daemon, who can make me want to burst out laughing, blush, or hit him with a large, very heavy, frying pan (and hopefully send him to the hospital)! Oh. I am doing a post. Sorry, just to let you know I have been sitting in front of my halfway done post, with Obsidian in my hand, rereading it when I should be finishing this post. This would be a good spot to mention it is dangerously addictive! Yeah, don't start it at night or say goodbye to your chance of sleep! The whole Alien theme is really awesome! The topic is not awkward at all, JLA explains the aliens beautifully and so well you stop thinking of them as fiction! Aliens just flow right into the story with no bumps or breaks, like they belong! To wrap this up, I recommend you read this like, maybe, right now! I also highly recommend the author! Oh, and, thank the heavens, this is a series!